Ever since TAG Heuer has been established in 1860, it has been a leading producer of prestigious sports watches and chronographs. 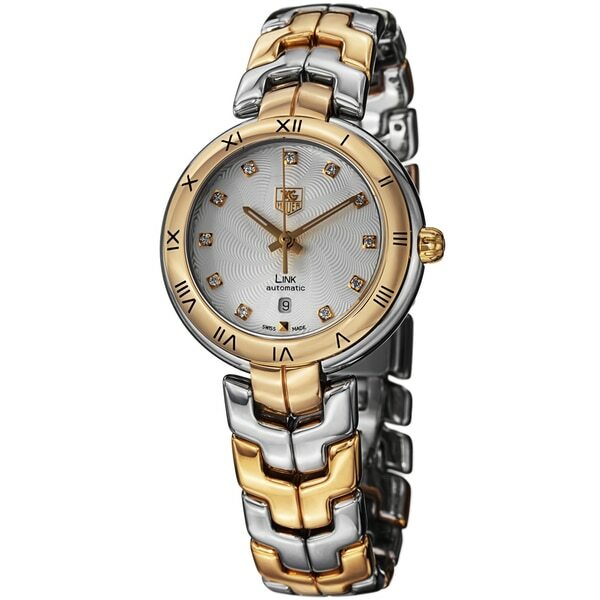 This timepiece features a stainless steel and 18k gold case and bracelet, silver textured dial and eleven diamond markers. Women's watch bands can be sized to fit 6.5-inch to 7.5-inch wrists. Extra links are available through the manufacturer. (We do not provide this service). Automatic movement winds with the movement of your arm. It is recommended that you wind the watch every two weeks.